Get festively cute wearing the LOVE Moschino® Pom Pom Sandal. Slip-on construction with adjustable ankle strap. Colorful pompom embellishment at toes. 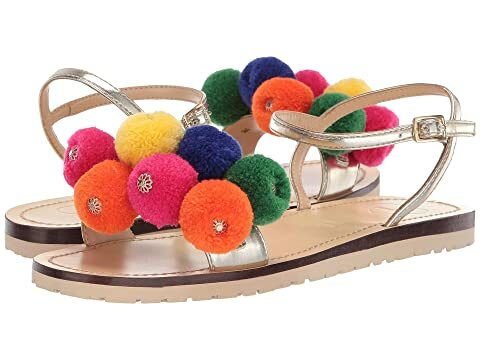 We can't currently find any similar items for the Pom Pom Sandal by LOVE Moschino. Sorry!